Does it seem like you would need a personal trainer and chef at your disposal to manage good health along with your other obligations? For many of us, living a healthful lifestyle might sound like a luxury beyond reach. However being healthy isn’t just for the rich and famous. 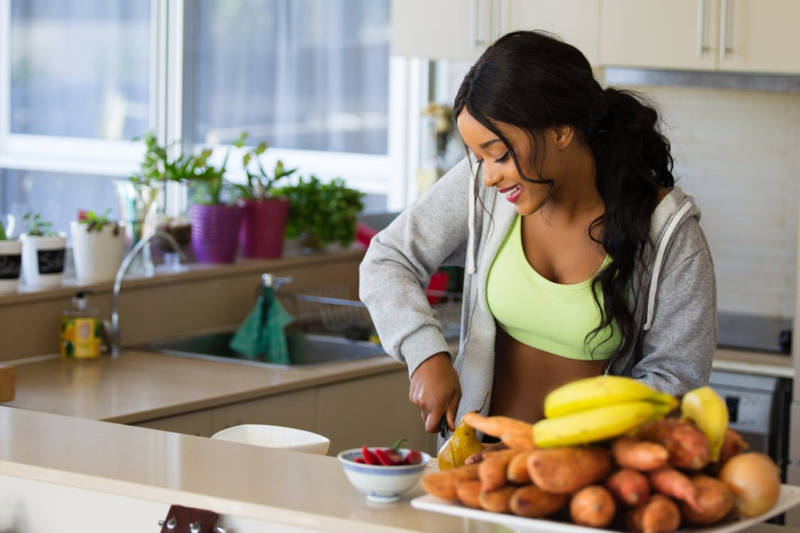 Here are some great tips for making health a part of your overall lifestyle, regardless of how much time and money you can invest in it. Good health can start with what you have in your kitchen. By keeping foods that are both convenient and nutritious handy, you’ll be less tempted to hit a drive-thru for less than nutritious choices when you’re on the run. As Healthline suggests, a healthy diet begins with a great grocery list. Include eggs on your list, since they are a healthy protein source and an excellent way to start your day, warding off hunger and providing many essential nutrients. On top of that, you can cook them up in a flash. Think beyond scrambled and consider hard boiling for a handy snack at any time of day. Add whole grain breads to your list and steer clear of breads made from refined grains. Foods such as carrot sticks, yogurt, and nuts also are easy to grab on the fly. Make sure your diet includes foods rich in both prebiotics and probiotics. Prebiotics and probiotics keep your digestive tract healthy, helping your body break down and absorb nutrients properly. This is particularly important to people recovering from an addiction or illness, helping to repair the damage to their bodies from substances or medications. Many people don’t understand the difference between prebiotics and probiotics. Prebiotics are found in fiber-rich foods such as soybeans, garlic, chicory, and asparagus. If you’re looking to add more probiotics to your diet, think in terms of fermented foods such as sauerkraut, pickles, miso, yogurt, and certain cheeses. Apple cider vinegar, kefir, and kombucha are also good sources of probiotics. Since fermented foods may not be something you eat every day, taking a probiotic supplement can also help you fill in dietary gaps. The prospect of becoming fit is daunting to many people. However, you don’t need to work out several hours every day to become healthier. In fact, some studies indicate as little as a half hour of low-intensity activity, such as walking, standing, or doing housework, can lower your risk of dying from cardiovascular disease by 24 percent. Bump up to just 10 minutes of more intense activity and you can lower your risk by 38 percent, and a half hour of intense exercising lowers your risk by 77 percent. For those overcoming an addiction issue, an exercise program that includes mindfulness such as what is practiced in Pilates can be a major benefit. Learning to better navigate emotions and understand signals from our bodies can be a boon, whether your addiction is to cigarettes, prescription drugs, or sugar. Some of the cornerstones of life are often neglected in our on-the-go society. Simply drinking more water can improve your health. According to Medical News Today, water helps to lubricate your joints, keeps your skin hydrated, helps regulate your body temperature, maintains blood pressure, and helps you digest food properly. Another important yet often neglected basic is sleep. If you are sleep deprived, you run the risk of being less productive, gaining weight, and being grumpy. And last but far from least, ensure you’re receiving enough sunlight. Sunshine provides many health benefits, helping to reduce the risk of heart disease, lowering risk of certain cancers, and protecting you from inflammation. Too little sunlight raises your risk for dementia and depression, lowers your ability to sleep, and might even inhibit brain function. You don’t need to hire help to live a healthy lifestyle. Enjoy good nutrition, be more active and make sure you cover your basics of water, sleep, and sun. With these simple tips you can enjoy wonderful head-to-toe health. Contributed by Susan Treadway, founder of www.rehabholistics.com.